"Making sales" feels kind of sleazy, doesn't it? "The salesman is the tiger, and the customer is the deer. The tiger has to eat, and you can't eat if you don't kill that deer. You have to go for the neck. Don't allow him to leave. But if you try to kill him too early, the deer will wake up and run away." - Manny Rosales, Car Salesman from Ep 129 of This American Life. You're not selling someone else's product: you're going to build your own. And that means sales doesn't need to be sleazy. You own the whole process: you're going to find a pain, and build the solution. Doing this work, from start to finish, gives you the confidence to say: "People really need this; I need to tell them about it." It's like a tow truck driver. 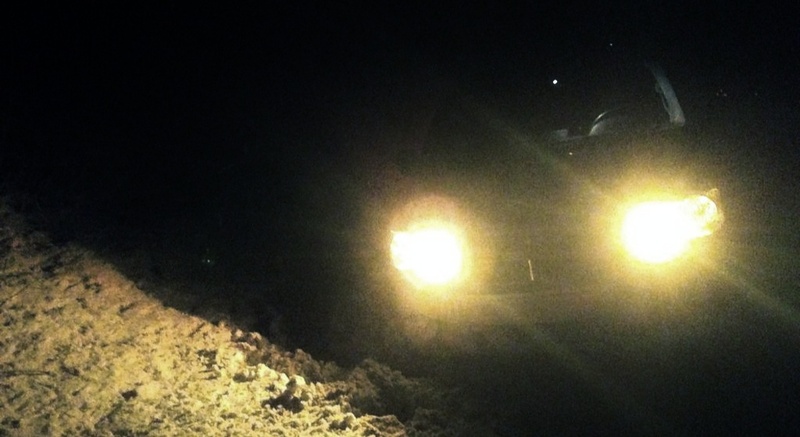 A month ago, my family and I got our minivan stuck in a snowdrift. We needed to get a tow truck to pull us out. Sales can be like that: you're helping people who are stuck, get unstuck. Our problem, as creators and builders, is that when we do create awesome solutions, we keep them hidden away, because we're afraid of looking like shady salesmen. But how are we going to help people find our solution if we don't tell them about it? Good salesmanship is finding people that need your solution, and just letting them know that you can help them. That's it. If that's what you're doing, you shouldn't feel sleazy. Think about it from the customer's point of view: what would a "healthy" sales process look like to them? "Justin, I found your blog online. Can I take you out for lunch and pick your brain? I'm happy to pay your normal consulting rate." At the time my hourly rate was $100/hour. He took me out for lunch, we chatted for an hour and a half, and then he wrote me a cheque for $150. "Thanks so much for lunch. You have no idea how much that helped me. I was feeling so stuck: now I can move forward with this project for my client." The client, by the way, was paying him upwards of $20,000 on the project. For him, spending $150 to chat with me was worth it, because he was able to save a project worth a lot more. What's interesting is that he would have never found me, if I hadn't "put myself out there" by writing content on my blog. He was willing to pay me for my time, because he had a real need, and felt like I had the solution. As someone who can create things, you have the power to change people's lives. But... if you keep your creation to yourself, you won't affect anybody. PS: I'm writing a new book called Marketing for Developers. Find out more here.